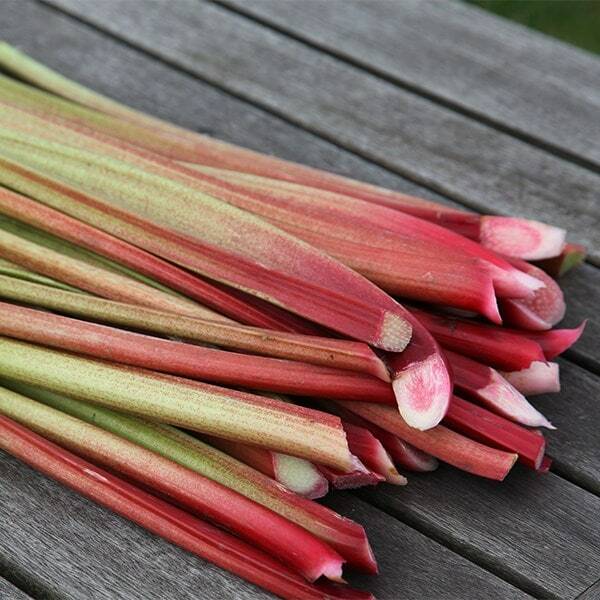 One of the earliest rhubarb varieties which can be ready outside as early as February. It is also suitable for forcing if you want to produce an even earlier crop and will provide you with succulent, red-based pink stems with a delicious flavour. Garden care:Rhubarb crowns (or sets) are sent out in a packet containing a little compost, but are generally considered as ‘bare root’. They will just look like a section of root, but as soon as they arrive they should be unpacked and planted out within a few days. 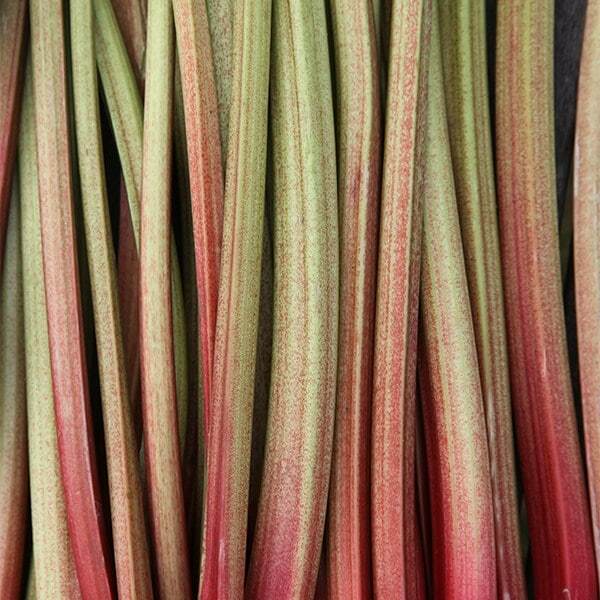 Potted rhubarb can be planted out at any time of the year provided the ground is not frozen. 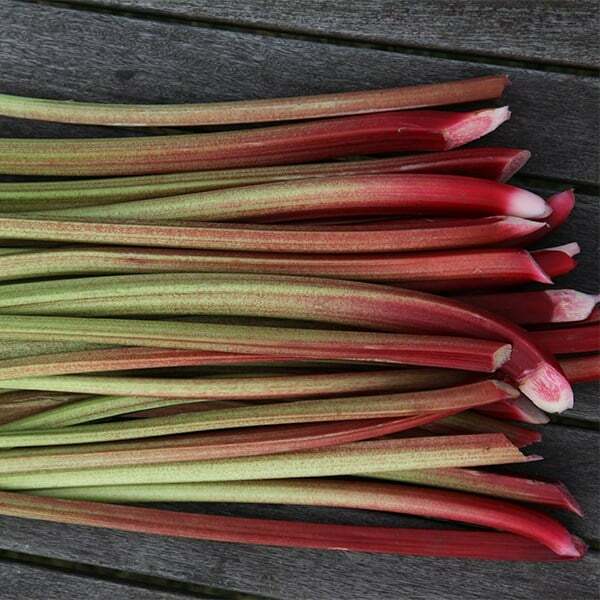 Rhubarb needs an open, sunny spot with fertile, moist but freely-draining soil. Heavy soils should be avoided as overly-wet conditions in winter may rot the crowns. Rhubarb does need a cold period before it will start to put on new growth in spring, however hard frosts may damage the newly emerging growth, so try not to plant in a frost pocket if you can. Prepare the bed well by removing weeds and digging in composted manure, and plant the crowns at intervals of 75cm - 1m, making sure the dormant buds are just below the surface of the soil. Keep well watered and in spring apply a dressing of composted manure, making sure you avoid covering the crown of the plant. Sulphate of ammonia can be applied in summer. It is important that the stalks are not harvested in their first year as this will adversely affect the plants vigour, but cut any old, yellow leaves off after they have faded and remove all the leaves after they have died back in autumn. You should also remove any flowering stalks which appear. In the second year, you may start to harvest some of the stems, but restrict yourself to between a third and a half of the total crop, leaving the rest to mature on the plant. In subsequent years, stems can be harvested from late spring up until mid to late summer, although the stems tend to become tougher and less tatsy towards the end of the season. Allowing some late-developing stems to develop fully will also help the plant generate more energy for the following years crop. If you want an early (usually more tender) crop of rhubarb, you can 'force' some early varieties - 'Timperley Early' is the best for this. Simply cover a healthy crown in mid-winter with a rhubarb forcer or tall bucket. This can be insulated (which will speed up the process even more), by packing some straw or compost around the outside of the lower part of the forcer. The shoots will soon appear and these should be harvested within 2 - 4 weeks. A crown that has been forced, should be allowed to produce its crop naturally in the following year. Supplied as dried crown; slow to come nto growth but eventually grew strongly. Being first year it hasn't been cropped. It is more expensive to do so but growing crowns in pots are more reliable. However these dried crowns are satsfactory. I have purchased some Timperley early from Crocus, but am not sure how to identify the Crown. The rhubarb looks as if it has roots at both ends of said root system. If you are uncertain which way is up, then the best thing to do is plant it horizontally and the plant will right itself.